You know the capabilities of your members. When hard times swallowed your members w/ insecurities, you were the voice that brought them back to reality even if you're probably breaking too. "There's nothing impossible in this world. If you're willing to do it, you'll succeed. Although #iKON had fallen down before, we didn't stop there and stood up again. We are like moving water, firmly overcoming all those obstacles. It will be good if we face the world optimistically in the future. Let's not get sick & be happy. I love you. W/ each award, the members stood proud behind you with their chins held high. It's not out of arrogance but of pride. Bec as you stand on that stage for an honorable award, you, the members & everyone else know that you got there by hard work & w/o compromising who you guys are. We will always look up to you guys from a low place. Please be happy." -Hanbin Acceptance speech 'Best Musician' You don't realize that the words you utter elevates you higher. You don't realize how many people look up to you because you've always set yourself at a lower place. We've only started, #iKON I hope only better days come along our way. We'll still be here even if the sun don't shine anymore, at the same place and with the same heart that we started this journey together. the word happiness is too vague so I hope you guys feel that it's worth living everyday" - kim hanbin 2018 I know you're able to say this out of experience. As we watch you wade through the vagueness of happiness, I hope that you find a bit of this feeling through us, #iKONICS. There is no more need to apologize. Because as you guys overflooded the teapot and left it empty, you gave both of us the chance to fill it again. When the industry runs cold, we'll be the fire that will heat you up again and again. Always. As #iKON reaches greater heights, Hanbin will stand there at the pinnacle w/ his members beside him as equals. They'll stand together at the top bec it was in each other's arms that got them through their downfalls & it'll be in the same set of arms that they'll revel in success. Disclaimer: All translations and photos belong to their rightful owners. All in quotations were said by KIM HANBIN Some photos are ss myself, some I found. I tagged those who I know and left all @ exposed by ss. Thank you for reading! Today is a good day. 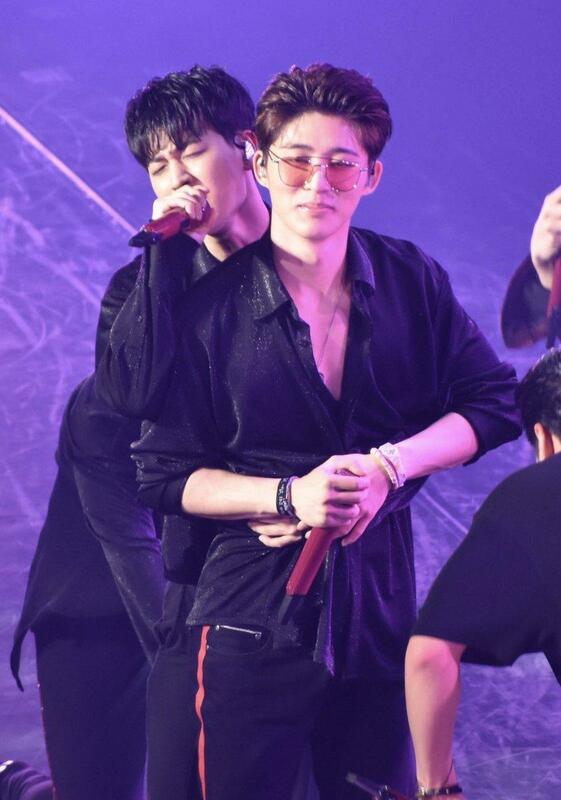 0 Response to "[Thread] Kim Hanbin : The Apreciation"